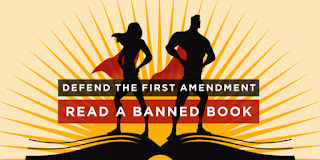 Find Out What They Don't Want You to Know: Read a Banned Book! Someday I hope to see my books banned. Given the caliber of literature that attracts this kind of ire, I would be in excellent company. Sherman Alexie, Toni Morrison, Harper Lee, JD Salinger, Alice Walker, Mark Twain, John Steinbeck. It's quite a list of literary luminaries. If my books were to be banned, it would mean I wrote something that truly mattered--that scared certain kinds of people with the power of the words and ideas. It would mean I shook the establishment. That would be quite a measure of success! This is Banned Books Week, which is always a great opportunity to see what "they" didn't want you to read. So, to celebrate, here are some thoughts on the top five Banned and Challenged Classics on the ALA list. It turns out I've read them all, because I'm a rebel, Dottie. 1. 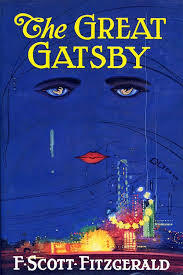 The Great Gatsby, by F. Scott Fitzgerald. Well, of course, they don't want you to read this one. It might give you the impression that rich people are not infallible bastions of society out there to protect the common people with their good sense and practical decision making. You might come away thinking that money can't buy happiness and that there are dangers in trying to be something you're not. G-d forbid! 2. The Catcher in the Rye, by JD Salinger. Another dangerous, subversive book. A person reading this might come to think that there is beauty even in a flawed world or a flawed person. They might come to value sincerity and honesty. A reader might feel less alienated by connecting with a character who feels even more alienated than she does. Can't have that now, can we? 3. 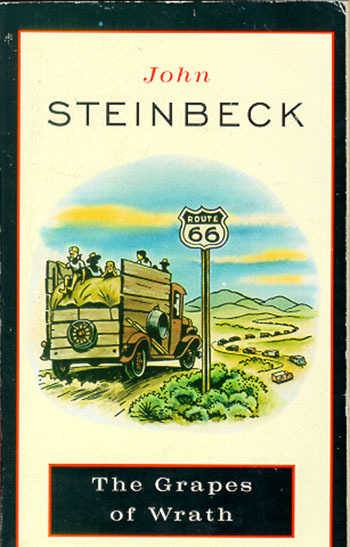 The Grapes of Wrath by John Steinbeck. Bad things happen in this book. Good people come to harm. And they don't just roll over and take it. They keep moving, they fight back, they endure. Despite their seeming powerlessness against big bankers and the one-percenters of their day, the Joads have a nobility. You might just walk away from these pages thinking that there is such a thing as righteous anger and that respect is worth fighting for. I'm surprised they let this one stay in print. That's some dangerous stuff there. 4. To Kill a Mockingbird by Harper Lee. Atticus Finch has gotten a bad rep here lately, thanks to another book. But he was a voice of reason for generations, and I think he still deserves his reputation for patience and calm, clear thinking. The novel allows for plenty of shades of gray when it comes to big moral issues. 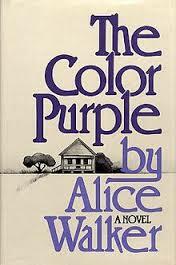 There is no black and white, even in a story that is largely about the relationship between blacks and whites. Truth is messy. Kindness and empathy are keys to understanding that many forget they have in their pockets, especially during a presidential election. So, yeah. Obviously this book is the devil. This one is a triple threat. The main characters are poor, black women. Three things a lot of America doesn't want to talk about, especially not when they pile up into one person like that. Life has not been easy for Celie and Shug, and the story doesn't pull any punches about that. It's not a diatribe or a rant. It's a moving story, one that lets you in on realities that are not pleasant or easy to stomach. So, if we're to keep denying that racism, poverty, and misogyny are problems in this great nation, then this book must be stopped! I'll never understand the impulse to ban a book. If you're not ready to have your horizons stretched or your assumptions questioned, then, fine, keep reading only the things that feed your own egocentric world view. But, it's really not your business what other people read. When someone tries to tell you that a book is dangerous, I recommend you rush out and read it immediately. Because your mind is your own. You should look at things for yourself and decide their worth. Otherwise, what's your brain for? Happy Banned Books Week! Read something they'd rather you didn't. Sylvia Plath was the beginning of awareness for me about the tangled relationship between creativity and mental health wellness. Her suicide happened in 1963, before my own birth. I learned of it in the 1980s, when we read one of her poems in a high school English class. I'm pretty sure it was "Daddy," a poem which confused the heck out of me even while it broke my heart. I'd been a pretty sheltered kid. I mean, sure, one of my best friends was bulimic and another was sometimes afraid to go home, and there were weird relationship dynamics all around, but I still believed that everyone around me was basically all right. My rose colored glasses were firmly in place. The idea of someone mourning that her father died before she could kill him herself was quite a shocker. The biographical fact that the poet later killed herself even more-so. Sylvia's suicide was glossed over in the biography in my textbook. It probably said something euphemistic about death by her own hand, rather than giving the shocking details I later learned, wringing them out of English teachers, since this was before you could just google things like that. I couldn't grasp why she couldn't persevere, couldn't believe in the possibility that things would get better. Some of my friends could, though. We talked about it with a morbid kind of fascination. We read The Bell Jar and Flowers in the Attic. We talked about Romeo and Juliet for months after our English class was done with it. My friends told me about the times they had almost taken the walk off the crumbling bridge above the railroad tracks at the edge of our hometown or showed me the scars from aborted attempts to end their suffering. They talked about feeling like others would be better off without them or that it might be easier just to stop fighting. It was like that for me--I was interested in the dark side, but it didn't drag me in. I could still walk in the sunlight. I wanted it to be that way for them, too. I didn't want to believe that people I knew and loved could have come so close to taking themselves out of the picture entirely. That was too awful to contemplate. In college, I was an English major. I read The Awakening, Antigone, Anna Karenina, Madame Bovary, Tess of the D'Urbervilles, all books where strong and vibrant women came to tragic ends. I learned about Virginia Woolf, Dorothy Parker, Anne Sexton, John Berryman, Ernest Hemingway, Vincent Van Gogh, Jean Michel Basquiat, Alan Turing--so many authors, artists, and geniuses who took their own lives. 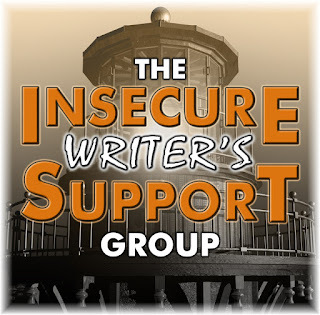 As a creative writing minor and habitué of coffeehouses and open mic readings, I heard and saw a lot of creative work about the struggle against inner darkness, against demons of doubt and despair. It began to seem that despair and creativity were two sides of a single coin, or just different interpretations of the same view. Like stubbornness and determination, which are really just the same thing, viewed differently. Creativity seemed to come so often intertwined with a darkness. The same agile minds that can create wonders can create demons--and sometimes the demons consume us. Imagination is a blessing…and a curse. A double edged sword that sometimes cuts us back. I was a grown woman, a teacher in a classroom of my own, the first time depression truly beat someone I loved and took them from my life. I know now that I was fortunate to have made it that long. Like everyone else around me at the time, I asked myself what we missed, what we should have seen, what we could have done. I still want to know. And there have been too many lights extinguished in this way. Co-workers, students, friends, uncles, cousins. Stars in my personal sky that no longer share their light. So, please. I beg you. When it feels like the darkness is winning, reach out to someone. The world needs all the light within all its denizens. 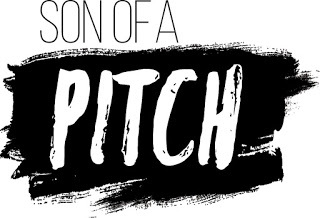 It was my great pleasure to provide feedback and vote on which pitches would go onto the next round in the 2017 Son of a Pitch contest. We had some really fantastic entries this year! My schedule was incredibly tight (remind me not to judge a contest and have a writing deadline during the same week, especially not during the schoolyear! ), so I didn't get to comment on as many of them as I would have liked, but I definitely enjoyed the reading! Best Laid Plans in Scotland: I don't even read romance, generally, and I want to read this one! Improbable Girl: Great protagonist. I was really drawn in by the first 250. Fount of Power: I was already rooting for the MCs in just this short selection. Doleful Creatures: Delightful storytelling style. The Doll Train: Strong narrative voice. Pitch contests and other critiquing experiences are always a great learning experience for writers at all stages. Having to articulate why something does or doesn't work for you, and offer suggestions for improvement trains your mind to read like a writer: identifying the techniques, word choices, patterns, etc. that make a piece work, or not. Round three begins next week, with agents and publishers. You can follow the action over on Katie's Stories. Katie Hamstead Teller is a talented novelist, and the brains and heart behind this feedback intensive pitch contest. She's part of why it's such a pleasure to participate, and why I came back for a second year. We're already planning another one for February. Hope you'll all come back then! For my regular readers, these are some special posts this week as part of a pitch contest I'm providing feedback for. Mourning his mother’s death, Dante Arzola seeks refuge from the world of wealth and corruption he was born into by trying to win the affection of childhood friend, whose darkest secret could ruin them forever. If I had to pinpoint it, everything began with one drunk, redheaded cheerleader. Or, at least, she might’ve been cheerleader. From her stance on top of Sade’s bar, I—along with the rest of the party—had a perfect view of her legs that looked far too soft as they flirted with the crowd before them. Had me abound with inappropriate thoughts. She definitely had cheerleader legs. The heat in the room incremented. I was in mutual agreement with most of the men here. She could have been wearing jeans, the windows would still be fogged with our fervor. Things like that were bound to happen when you were in a room full of intoxicated college students whose perception of adequate clothing lay somewhere between way too small and way too tight. We’d all become libidinous and ready, men and women alike. Our bellies would heat and our pulses pick up speed with each stinging shot of Finlandia. I sat so much farther from the others that to a bystander I’d look like a bystander. Then again I was a wallflower, blending in with the furniture. It wasn’t that people failed to see me, it was that they ignored me. It was like this most of the time, and I’d been dulled to any insult it should have encased. There were perks to being invisible. In most ways, Tessa resembles the destitute masses of Avende. The Harian army drove her from her home, pillaged her nation and separated her from her beloved older brother, Aldo. She yearns for the same things as everyone else – to lead a normal life and for the recent peace treaty to last. But unlike her fellow Avendese, Tessa possess Harian magic. Aldo forced her to use her powers to recruit soldiers to the Harian side, making them both traitors. If her true nature is discovered, she’ll hang for treason. She needs to find Aldo and escape Avende as soon as possible, but the only person willing to help her is Captain Jerome Redat. An Avendese war hero, Redat gallantly offers her a job with his refugee company. Starving and out of options, Tessa accepts. But working with the Avendese military puts Tessa in constant danger of discovery. And as her feelings for Redat grow more tender, she’s not even sure she wants to escape anymore. But when Aldo tracks her down, it’s clear that hiding her abilities will no longer be an option. Aldo and the recently defeated Harians are already marshalling their numbers, but they’ll need Tessa’s powers if they want to succeed. And joining them would mean far more than losing Redat. It would mean another war. Tessa’s basement window let in the faintest smear of sunset, just bright enough to illuminate the dust in the air. Outside, footsteps tromped in unison along the cobbled streets. The Avendese soldiers marched through their evening rounds, making certain no one remained on the streets of Sarcey past curfew. Ocean air blew through the brick walls, tracing damp tendrils along Tessa’s skin. There would be snow again tonight. But neither the wind nor the soldiers concerned Tessa, their rumblings as familiar as the ache of hunger. Her ears were primed for a stealthier, more malicious foe. She might have ferreted it out already, but the little boy nestled against her side was restless. “Not yet.” Tessa placed a finger against his chapped lips. “I know I heard something." Chay sighed, but with a shake of Tessa’s head, he pressed his hands together and extinguished the conjured flames. Bless him, he hated disappointing her, even though he didn’t understand her worries. She pulled him close, trying to squeeze him warm. The soft thrum of water against wood. “Do you hear that?” Tessa’s grip tightened around Chay. “No.” He stifled a yawn. Sages, how was she supposed to plug a hole in the roof? Now they might freeze to death before the soldiers even got a chance to shoot them. Daniel knows how many steps there are to his fifth floor walk-up, and tonight he counts as he climbs a little slower than normal. Inside his apartment, his numbers and rational logic can't comfort his wife, Jane. When he finally opens the door, it’s worse than he thought: Jane’s in the tiny living room trying to put a crib together—but she isn’t pregnant. IMPROBABLE GIRL is a dual narrator, dual-timeline love story that begins in the middle as a marriage cracks under the weight of infertility. The story bounces back and forth in time, connecting the dots between the excitement of first dates and budding love to the turmoil of needles and ultrasounds. In the present, Jane, a former dancer who’s always been in control of her body, is so consumed by getting pregnant that she neglects everything else in her life. Daniel, a hyper-logical math teacher, can never say the right thing, so he retreats into silence. In the midst of an expensive and exhausting third round of IVF, Daniel’s infidelity is followed by a confession that he can’t handle the emotional toll of more treatments. Jane packs a suitcase and walks out, barreling forward with her third egg retrieval. She browses a sperm bank, unsure of what she wants more, her marriage or a baby. When doctors discover a tumor on Jane’s ovary, Daniel's fear of losing her for good impels him to find her and earn her forgiveness. For Jane, more than a baby is at stake now, and she recognizes that she can’t do everything alone. Reunited, they face Jane’s surgery together, knowing the cancer may have spread and she could wake up from surgery unable to ever carry a baby. I counted the stairs on the day we moved in. There are 50 steps to our apartment on the fifth floor, so every five steps is equal to 10% of the trip to the top. That is, if you ignore the 6 steps on the stoop. If I count those, then every 5.6 steps is 10% and really, that is not so nice. I’d have to break the steps into fractions, and therefore break the rise of my foot as it travels between one step and the next. I walk home tired after teaching eleven year-olds and I can’t achieve that level of precision. So we’ll disregard those first 6 steps. Tonight as I walk up, I count by ten percent as I always do. It’s a nice rhythm as my foot strikes each step and my shoe scratches across the surface. One, two, three, four, ten, one, two, three, four, twenty. That’s five-four time in music—five beats to the measure. If it was four-four time, it would be symmetrical, but five is prime. Tough choice, symmetry or primes. In general, four-four is my favorite, symmetrical with two downbeats. One, two, three, four, fifty. Fifty percent is nice, but my legs are burning a bit. By seventy-five, I’m getting close, so I take the steps two at a time. I like to know exactly where I’m going and how long it will take to get there. Beyond these stairs and their five-beat rhythm, I don’t know where Jane and I are going or how far away it is. That distance is undefined. Marie Christie’s ex-boyfriend is a dirtball. When given the opportunity to escape his drama for her oldest friend’s destination wedding inScotland, she pounces. The trip gives her a chance to heal her heart and earn the coveted *I don’t need a man card*. Nothing can stop her. Well, except for the hot Scot tour guide she has to spend a week with on a small tour bus. Exploring Scotland with the most delicious kilted man in the British Isles makes protecting her heart and keeping her distance…complicated. Marie must steel herself against his charms and focus on returning to her life back home because she needs to support her sister since their flake of a mother won’t stick around long enough to do it. Oliver Stuart has the chance of a lifetime to expand his tour business and offer his part-time guides full-time jobs, unless rival beats him to the opportunity of a lifetime. Not to mention the distracting American lass he can’t get out of his mind. Add a bus full of well-meaning busybodies playing matchmaker (and a few trying to get in the way) and they’ve got a wild holiday in Scotland. They can’t deny their burning attraction, but they live an ocean apart and can’t ignore their responsibilities at home. Whisky flavored condoms? Marie chuckled as she reached in her purse to snag a few coins for the vending machine. Her first day in Scotland and she’d already found the perfect souvenirs for her friends. The toilets may not be clean at this Glasgow pub, but at least it offered flavored prophylactics in festive packaging. She admired the red and orange tartan cardboard packages as she exited the bathroom. Her body slammed into a hard chest. She tore her eyes away from the packets and looked up. "Excuse me. I'm sorry, I-"
A curly haired sexpot with eyes as bright as the Caribbean Sea gifted her with a wicked grin. Her first thought? She wanted to jump up and wrap her arms and legs around him. Second thought? Don’t. That's inappropriate behavior. She stared at him and watched his eyes lower to the ridiculous handful of condom packets she pressed into his chest. "Hoping to pull?" he said with a toe-curling brogue. "Pull? No, these are souvenirs." A laugh bubbled up and escaped her throat in the form of something far too close to a squeak. "These are hilarious. Back home the condom machines don't have anything as fancy as this." Will Dwyer is a police constable and a convicted thief, but that's common in Van Diemen's Land, where the police are poorly paid and the labour force consists mostly of convicts. He is tired of being looked down on for being a felon, no matter how hard he works. When he has to take charge of an outlaw found dead in the bush, Will is subjected to one dismissive comment too many. He resolves to find killer, even if it takes him into parts of town he's been warned off, and once he apprehends them, he'll earn himself a pardon and be just as good as the free men who sneer at him. Nobody wants to help Will investigate. Not his partner, not the rich man who found the body, and not his new friend Luke, whose scorn inspired the quest. But Will persists, trudging through the streets and taprooms of Hobart Town, until his investigation uncovers a secret that endangers Luke and negates the work he has so far down. Faced with increasing self-doubt, Will has a choice: continue his fruitless quest at the risk of betraying his friend, or stick to patrolling the streets and accept that those that look down on him are right. I am a constable at Hobart Town. On the morning of the fifth of November, I was in the taproom of the Duke of Wellington when I saw a crowd coming down the street, following, as best I could tell, a man with a horse. Not a man on a horse, but a man walking beside a horse. Above them, the sun shone bright in a blue sky, another day of no rain with not even a wisp of cloud. In here, in this tap-room, it was shaded and cool, even in the doorway, and the mug of ale in my hand was just a mouthful from being full. A waste of good coin to put it aside now, and if I waited long enough, there was always a chance whoever was actually on duty would arrive to take care of the crowd. "Something has your interest there," said a deep voice. A stool scraped over the floor and then the big hulk of Pete Woodrow joined me in the doorway, or behind me, there not being enough room for both of us. "That's quite a gathering up the road. Shouldn't you be bothering them, lad?" The mug I held was smooth under my fingers, the ale within would be just as smooth as it slide down my throat, its warmth spreading out through the rest of my body. After being roused from my bed at some unholy hour this morning, I deserved this. When a young nurse uncovers horrific abuse at a Nazi baby factory, she saves the children by joining forces with an unlikely ally — an SS officer working covertly for the resistance. When Allina Strauss arrives at the notorious Nazi baby factory called Hochland Home, she has nothing left to live for. SS officers have murdered nearly everyone she loves and killed her innocence. The only thing standing between Allina and death is a set of forged papers that hide a terrifying secret: Her mother was Jewish, making her a half-bloodMischling. Traumatized and grieving, Allina’s despair grows as she becomes both participant and witness to Heinrich Himmler’s ruthless eugenics program. Girls of pure blood mate with SS officers to breed offspring for the Führer, while nurses like Allina must follow strict protocols and treat babies like inventory, without affection. Hundreds of Hochland Home's neglected, disabled children wind up in experimental hospitals, slated for execution. But grace often appears at the most hopeless moments. When Gruppenführer Karl von Strassberg catches Allina cuddling a baby, she’s afraid she’ll be punished for breaking house rules. Instead, Karl is intrigued by her gentle approach and seeks out her company. He even secures Himmler’s approval for a rehabilitation plan for the children.When Karl learns Allina is half Jewish, he vows to protect her and shares a secret that changes both their destinies: While outwardly loyal to the Reich, Karl works in secret to smuggle Jewish children to England. As their shared work brings them closer and friendship deepens into love, Karl and Allina are forced to live double lives amid the growing threat of war. And when Allina becomes pregnant, the couple faces a harrowing decision: Will they continue to risk their lives, and the life of their unborn child, to transport more children to safety? Evil rarely falls like a hammer, Uncle Dieter always warned, for at its core, evil is a cowardly thing. Evil lives in the shadows. It sneaks around, like a pickpocket. We must be vigilant, child. Even the smallest act of evil can destroy. Allina accepted her uncle’s words as truth, because he was the smartest, kindest man in her world. He was the only father she’d ever known. Three years ago, on the day the Führer became Chancellor, Allina rushed home from school to find her aunt and uncle at the kitchen table, weeping. Shocked silent, she’d hesitated in the doorway while their sobs filled the room. Her aunt and uncle had wiped their tears and beckoned her inside with smiles, but Allina wasn’t fooled. Uncle hugged her so tightly her ribs had burned, and Auntie’s hands trembled when she poured Allina a glass of milk. She’d realized the truth that day, at thirteen: Adolf Hitler was the evil Uncle warned her about. Allina knew evil existed. But she never thought she’d recognize it in the face of a friend. “You’d have those filthy Jews here? Why?” Fritz’s voice was high and sharp, like the crack of a horse whip. Sitting up in the grass, he made a show of brushing bits of leaves off his grey trousers and smoothing the untidy strands of his blond, razored hair. Allina’s cheeks prickled with alarm. His obnoxious jokes usually made her sick to her stomach, but Fritz had never been so vicious. In Talisman, ordinary people are drawn to ordinary objects with the power to fill the holes in their lives. A plain young woman discovers a mirror that transforms her into whatever person she wants to be. A hopeless gambler finds a lucky coin. A blind girl obtains glasses that enable her to see. The main protagonist, Adam—a millennial stuck in a mind-numbing job, with no girl, no prospects, no purpose—finds a key that enables him to summon untapped willpower and envision possibility. So of course he has no idea what to do with it. That’s when Adam meets Delilah and is drawn into the middle of a secret war between the Order, which believes the talismans are the key to natural selection, and the Following, which believes the talismans herald the Second Coming and that Adam may be the martyr for whom they’ve been waiting. So Adam must find his true purpose, decide whether he can trust Delilah, and avoid becoming a casualty. A darkness without end, she had been born without sight. She likes to think that the fleeting memory of being born into the world, a world of light and movement, was real. Her doctors had ignored such reminisces. If true, no matter how unlikely, it is unimportant now. What is more cruel, a child who could once see or one who would never know the loss? Such questions were philosophical. She likes to imagine red. It seems pure. Is it like "sharp" or "hot"? Is it "blaring" or "piercing?" There are those who muse that one person's red could look blue to another and vice versa. The subject and the name would be the same, the experience divergent. Who can tell? Some brains were wired differently. They could smell green or see sweet. It was all a matter of perception, not worse, just different. She had consoled herself with such thoughts. The doctors had given her mother too much oxygen or perhaps it was the nurses. They had not heeded the monitors. She had been a newborn. Her mother died giving birth to her. Everyone said there was nothing that could have been done. She did not accept that. Her attorney had won compensation. She got A's studying Braille high school text books. Some things just happen. Some things people make happen. The apartment building is quiet but not silent. The floors creak. Someone is moving about behind a closed door. When slavers steal her from her village in the wastes of the southern continent, Astara doesn’t expect to emerge from a horrific ritual with the power to accomplish unexplainable feats. But being cursed with magic also bestows her with another unwelcomed gift: a lifetime of enslavement. Wishing to return to her family, Astara is instead sold to a pair of cosmopolitan, ladder-climbing nobles who already own a famous dancer, Dahlia Vessa. But Dahlia is not who she seems to be: she’s a double agent, spying on her masters for a clandestine faction called the Nameless Circle. The Circle fights to free those branded with magic, but they’re not the only ones set on freeing the city’s slaves. Astara and Dahlia are soon caught in the middle of an underground war between the Circle, and another faction who seek to exterminate those without magic. The factions soon discover the two women are a pairing of Arcana SiFayn, an incredibly rare type of mage who combine powers to cast devastatingly strong magic. With control of either one of them, the Circle and Revs believe they would have the power to change the tide of the war against the masters to their subversive objectives. But after Dahlia is arrested for murder due to the wild powers of their connection, Astara must find a way to free her friend before she’s executed for her alleged crimes, or worse: the Revenants convince her to join them in their genocidal crusade. Ministers escorted a line of captives across the length of the square training area, cruel cold cobblestones under their bare feet. At the end of the queue, shivering and teeth chattering, a young woman followed, shuffling her steps before crossing an open door’s threshold and entering a crumbling wood building. Holding her chained wrists against her chest, she stared at the floor, the pale morning light casting the Ministers’ shadows across the planked boards like mythical phantoms ready to strike. She startled when the door clapped closed behind her. Nearly all the Ministers Astara encountered possessed magic–powers they could use to do things she had only dreamed of before slavers kidnapped her from her village on the southern continent. Lighting. Fire. Throwing objects without touching them. Slamming a door without so much as lifting a finger was hardly the most impressive feat, but she still didn’t understand how any of them did it. Her people didn’t have magic on the Mountain; in all her twenty-two years of life on the Great Southern Plains, in the region known as the “Dustbin” to the local Rykonians, she’d never seen anything like it. In front of her, the other captives continued to walk in sync further into the building, and Astara’s chains attached to them yanked her forward. She stumbled and wobbled, her vision blurring, but managed to stay upright, feeling like she’d been awake for days on a hunt. Maybe she’d not quite woken up, her body sluggish and lethargic. Jona is a young warrior, bonded as concubine to a powerful kin chief she despises. Forbidden to wield her spear, she rails against a life trapped behind the loom, but cannot leave if she hopes to preserve the final shred of her family's prestige. When one of the chief’s fighters is killed in a failed ambush, his honorless kin captures the man they deem guilty. Roused by memory of her brother’s unlawful death, Jona attempts to free the captive before he faces retribution. After botching the rescue, she inadvertently opens a Farstep, an entryway to a lost realm enabling her to travel anywhere in the world within moments. Jona must decide whether she can trust the stranger beside her as she chooses between the unknown dangers beyond the Farstep, or the swift wrath of the kin she’s desperate to leave behind. Meanwhile, Age is a reluctant prodigy of the people who maintain a tenuous link to the little magic left in the world. His unmatched ability to control the essences of nature should be a boon. To Age, his talents only mire him in suffocating responsibilities. When a strange new power beckons to him in a way he can’t ignore, his instincts urge him to investigate. Eager to spy on the Farstep and avoid the awful sacrifice his people demand of him, Age uses his magic to infiltrate the kin. But he never expects to befriend Jona, and to regret the lie that has her believing he’s someone he’s not. Caught between conflicting loyalties, Age faces an impossible choice: to serve his people, or save his friend. The band of raiders returned at sunset. She lunged, kicking aside her cushions to reach the open window. Golden sunlight glinted off motes of grit churned up by the people and horses milling in the yard a stone’s throw away. Coughing, Jona waved away the dust as she pulled herself into the overgrown window well. The answer to her prayers rested casually over the rump of the nearest horse. “Our raiders are back,” Jona said, hardly paying attention to what she was saying. There was a man lying in the grass, covered in dirt and straw, trying to draw himself up to his knees. As he stirred, one of the raiders turned and booted him in the ribs. When Mer York meets a charming man named Bryn in the park, she doesn’t suspect that he’s actually a civil disobedient—a Dissenter—on the run from the law. When government agents known as Company Men link her to him, Mer is thrust into a world of secret organizations in which her allegiance could mean the difference between freedom and subjugation not only for her, but for the entire country. Traditor is a tale of adventure and romance in a society where government surveillance has grown out of control. The novel follows Mer’s transformation from a dutiful government worker to a Dissenter. Although initially intending to sabotage Bryn’s plans, Mer begins to reevaluate her beliefs when she discovers that the chip he carries was designed by Company Men to control people’s minds. Mer decides to turn traitor and fight to keep the chip safe until its existence can be made known. At the end of many adventures Bryn and Mer seem to be in the clear—until a comrade’s death leads to betrayal by one of their own. She was never sure what woke her. Maybe there was a noise, something she couldn’t remember when she was fully awake. Maybe it was a sort of sixth sense, the feeling that lets you know you’re being watched from behind. Whatever it was, Mer opened her eyes just as the heavy moon hid its face behind a cloudbank. She lay immobile for a moment. She often woke before her alarm, a product of years of conditioning, years of dreading the moment the buzzer would go off. Normally it was two or three minutes before, however. Judging from the darkness and the dead calm of her neighborhood Mer thought it must be much earlier: two at the very latest. She should just go back to sleep. Maybe she ought to get up and take a pill? No, no need. Mer could feel fatigue pulling her under. Her eyes had drifted shut, the wisps of dreams just beginning when she heard the creak. Her first instinct was to sit up, but Mer forced herself to lie still. It was a neighbor, she told herself. Someone moving around their house downstairs. There was another, softer this time. It’s the floorboards. This isn’t exactly a new place. Houses get old, houses groan. It’s nothing. Go back to bed. Then she heard the creak again. That is the $64,000 question, isn't it? The truth is that I don't "find the time." I FIGHT for it. I wrest it from the jaws of dangerous beasts with my bare hands. I hack it from the calendar with a machete. I steal it, then run away and gobble it up in secret. Well, maybe it's not that dramatic, but it is a struggle. 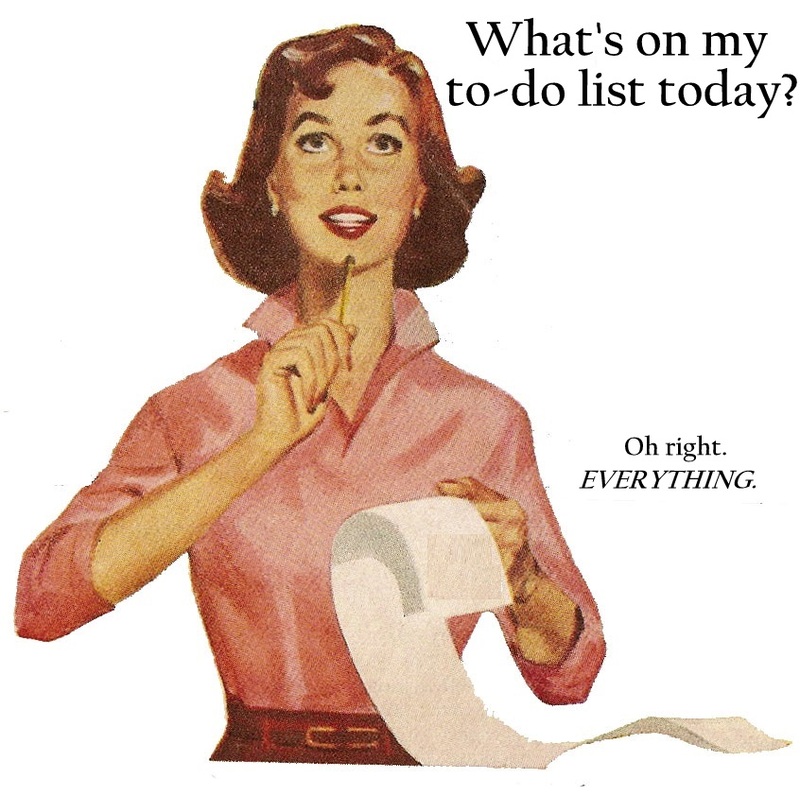 I have a day job, a family, a husband, a dog, a house…all things that covet and demand my time and attention. They're all also things I love and value, that I *want* to spend time on and with, unlike the housework and grocery shopping, which I'm happy to push aside for writing. 1. Household meeting: If you share your living space with others humans, you're going to need to have a direct talk about "writing time." At La Casa Bryant, this amounted to a family meeting where I announced my intentions to write every day and told them I would need support in the form of "alone time" to do that. I was tired of packing up and going to coffee shops and libraries and wanted to do my writing at home. We planned together to figure out when would be the most workable time for us. That ended up being 8:30 at night at first, with my husband and older daughter agreeing to deal with the younger daughter's needs if any arose after her 8:00 bedtime. It wasn't ideal for me, as I was often physically and mentally weary by then, but it was better than nothing and I started writing at least 250 words a day (now I'm up to 800ish on school days and 2000 on non-school days most of the time). 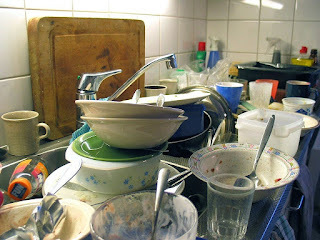 Disclaimer: Not my actual sink, though it is sometimes this bad. 2. Work space: I wanted to be able to write at home, but that was hard at first. At home, you have to discipline yourself to ignore all the other pulls of home. I'm pretty good at writing among chaos and noise of certain sorts, so it works for me most of the time, and when it doesn't, I shut myself in the bedroom where I can close the door on everyone else. There's no home office space available for me without moving, so I adapted. For a while, I had to go out. But I had less control of my environment in coffeeshops and libraries and, even with headphones, had interruptions and pulls of my attention that cost me writing time. After all, I can't insist that other coffee shop patrons talk more quietly or sit further away like I can with my family. Plus I had to spend time getting there and back instead of just popping open the laptop and going. 3. Mental space: This part was hard for me. I'm a mom and a middle school teacher, so generally that means my own needs and wants are very very last on the list of priorities. So, step one for me was to convince myself that it was okay to insist on having this time. I couldn't utilize my writing time well if my head was full of guilt and to-do lists, so I had to learn to set that aside, at least for an hour at a time. Now I know I'm a better wife and mother when I get my writing time because I get that release and don't resent my family for keeping me from it. In fact, if I'm cranky, they might recommend that I "go write for a while." 4. Sacrifices: There are only so many hours in the day. So, if you're going to add regular writing time, you probably have to give something up. For me, that was television. I don't like it that much anyway, so it wasn't too painful. My own stories do more for my soul, even while they are beating me up in the process. I save up television time for summer vacation and then Netflix to my heart's content (I had almost eight weeks this summer--it's not the nice long break it used to be when I started teaching, but I'm still glad to have it). But that gave me back 1-2 hours a day to use in other ways. You'd be surprised what I can do with 1-2 hours a day. So, there's my story. What's yours? How do you arrange your life to leave room for writing or other creative pursuits?